The Vrije Universiteit Brussel annually awards a number of scholarships for advanced studies at Master or Advanced Master level. The selected scholarship programmes are characterized by the integration of education and research and a Master’s thesis. They cover at least one year of study and depending on the field of study some programmes may take two years. 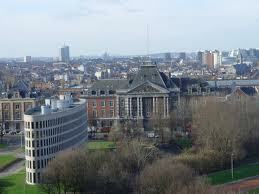 Annually one or more specific programmes are considered for Scholarships of Vrije Universiteit Brussel. The Bureau for Development Cooperation selects these programmes every year following an internal “Call for Interest” to all programme directors of a Master or Advanced Master programme. This selection is submitted for endorsement to the Research Council. Scholars participating in a Master Programme will receive a monthly allowance of 1.000 euro*. This allowance is intended to cover room and board, individual transport and scholar’s personal expenses. A monthly allowance of 60 euro* will be paid for the spouse and per child whether or not they accompany the scholar to Belgium (notes: (1) payment only upon receipt of a notarised copy of marriage and/or birth certificate(s); (2) possible travel expenses incurred by the scholar’s family will not be covered by the Vrije Universiteit Brussel). Per academic year the scholar will be paid a lump sum fee of 275 euro for teaching materials (including the printing of the dissertation or reports). The scholar will be paid once a lump sum fee of 275 euro covering shipping costs of teaching material received during the programme (paid at the end of the programme). Upon arrival, the scholar will receive a one-time installation fee of 500 euro. International travel: the scholarship includes one one-way economy class airline ticket to travel to Belgium at the beginning of the programme and one one-way ticket to the scholar’s home country at the end of the programme. A two-year programme also includes a round-trip ticket for summer travel to the scholar’s home country. The reservations of the tickets are made by Vrije Universiteit Brussel. Annual tuition fee will be reimbursed after payment by the scholar. Insurance: the Vrije Universiteit Brussel will provide medical, third-party liability, accident and repatriation insurance for the scholar. Insurances are paid directly by Vrije Universiteit Brussel. The scholar will receive a one-time preparation fee of 150 euro to cover visa costs. *The amounts indicated in this publication may be adjusted in line with the Belgian indexation figures. Depending on the programme, scholarships have a maximum duration of 12 months for one-year programmes or 24 months for two-year programmes. Scholarships start the earliest on 16 September of the reference year (X) and end the latest 20 September (X+1) for one-year programmes and 20 September (X+2) for two-year programmes. Scholars who fail their exams will not be entitled to extend the duration of their scholarship. If scholars participating in a two-year programme obtain less than 60 ECTS (credits) at the end of the first year, they will have their scholarship aborted, unless university authorities decide otherwise. As stated above, the scholar will receive a monthly allowance for his/her spouse and per child even if they stay in their home country. We recommend that scholar’s families stay in their home country, since experience has shown that they often experience difficulties with living in Belgium, viz. being away from their other relatives and with no specific activities in which to get involved in. As mentioned above, scholars participating in a two-year course who pass their first year exams will receive an airline ticket allowing them to take home leave for holidays and if applicable, to undertake at the same time fieldwork or data collection for their second year dissertation. If the scholar wishes to bring his/her spouse and/or children along, we strongly recommend that he/she first comes alone and brings his/her family to Belgium after he/she has found suitable accommodation, since this can sometimes prove difficult. More importantly, it will be almost impossible for his/her family to obtain a visa for Belgium if the scholar cannot prove that suitable accommodation for the family is available in Belgium prior to departure from the home country. The general criteria listed below have been drawn up by the Bureau for Development Cooperation of Vrije Universiteit Brussel. Programme and course supervisors decide upon specific selection criteria per programme. Only residents from selected developing countries are eligible for a VUB scholarship. This list is based on the List of Developing Countries situated in Africa, Asia and Latin-America from the Development Assistance Committee (DAC) of the Organisation for Economic Co-operation and Development (OECD). South Africa and Cuba (Upper Middle Income Country) are also eligible for scholarships. Candidates must comply with the specific admission requirements for the programme they apply for. Calls for scholarships are made for specific Master and/or Advanced Master programmes. Candidates are allowed to apply only once a year. Candidates may not be older than 35 years of age at the moment of application. A Scientific Committee, installed for each specific study programme eligible for scholarships, will evaluate the candidate’s academic qualifications and data provided through the application form. The committee will assess candidates’ eligibility for the programme and pre-select a number of candidates. All candidates will be notified of the outcome of this first selection phase. Pre-selected applicants will be asked to send a complete file comprising original or original certified copies of the required official documents. These documents will be screened by the Admission Board of the Vrije Universiteit Brussel to check if they comply with admission requirements. The Bureau for Development Cooperation takes final decision in the selection procedure, based upon scientific priority ranking and Admission Board’s approval. The selection is submitted for endorsement to the Research Council and rector of the university. Applicants MUST use the requested application form. No later than October 31, 2011 the thoroughly completed online application form should be submitted. Two recommendation letters have to be sent by the concerning authors by scan and mail to development.cooperation@vub.ac.be, with reference ‘ Your name and first name, application for a VUB-scholarship’. If you have no time to complete the application form at once, you can always log in again (until the above mentioned deadline) and edit the pages that were not completed yet. Candidates who apply through this on-line form are applying for a scholarship as well as admission to the programme. There is no need to apply separately for an academic admission. The number of scholarships is limited and only the very best students will receive this grant. So it is possible that you will be granted academic admission without scholarship. Candidates who apply through the online form and make it to the second selection round (sending in of official documents) -after pre-selection-, are applying for a scholarship as well as admission to the programme. In this stage, there is no need to apply separately for an academic admission. The number of scholarships is limited and only the top-notch candidates will receive the scholarship. So it is possible that you will be granted academic admission without scholarship. All applicants will be informed about the results of the pre-selection of their application by e-mail by the end of November 2011 . Pre-selected applicants will be invited to submit additional documents by Januari 10, 2012, the latest. Transcripts of academic records (grade sheets) of all the academic years under envelope sealed by the university or officially authenticated copies of these transcripts. Applicants who graduated at an African university must request their home university to send the transcripts under sealed envelope to the registrar’s address. If these documents are not in English, French or Dutch, OFFICIAL TRANSLATIONS (= by a sworn translator) in one of these languages must be added. Copies of degrees and transcripts are not accepted, nor are copies of authenticated copies. Certificates of enrollments taken at other Flemish universities (if applicable). Two address labels (label with your own address printed on it). These labels will be used for mail purposes. A copy of a valid ID-card or passport. Scores should be sent directly by the examination center to the VUB under sealed envelope to the VUB Registrar’s Office. For the TOEFL-test scores, the institutional code ‘3574 – VUB’ can be used by the examination center. Officially authenticated copies are not accepted. Students from the P.R. China have to obtain a certificate of academic screening issued by the Academic Evaluation Center (APS) of the German Embassy in Beijing before being allowed to enroll at any higher education institution. The certificate is also required to obtain a student visa to Belgium. More information on APS can be found at official website. An APS-attestation is a mandatory document in the paper application package. Final selection results are communicated to all pre-selected applicants before the end of February 2012. Selected students will have to start the procedure for visa application to travel and stay in Belgium at the Belgian Diplomatic Office in their home country. (Addresses of Belgian Embassies can be consulted on the website. Certificate of Good Conduct (also known as “Police Record”) issued maximum 6 months before visa application date. Proof of health insurance (will be provided by Vrije Universiteit Brussel). The Vrije Universiteit Brussel offers the Master of Photonics Science and Engineering jointly with Ghent University (UGent). The aim of this master programme is to educate students to become an engineer and scientist with a solid knowledge in photonics and the ability to apply theory into design, realization and management of photonic syste ms. Important: VUB scholarship holders must study (+ do their Master thesis) in the second year of the program at VUB. Demikian kami sampaikan tentang Master of Photonics Science and Engineering Scholarships, Vrije Universiteit Brussel, Belgium semoga informasi tentang Master of Photonics Science and Engineering Scholarships, Vrije Universiteit Brussel, Belgium ini bermanfaat.